I always struggle with finding new skincare products. I have really sensitive skin so am loathed to try anything too strongly perfumed or products that aren't natural. In my experience, I've found that these products just dry my skin out more or leave me with sore, rashy skin. Then I was introduced to Mio Skincare. Their aim is to make women feel confidence with their great quality and effective product range. It's all about leaving women with that 'glow'. 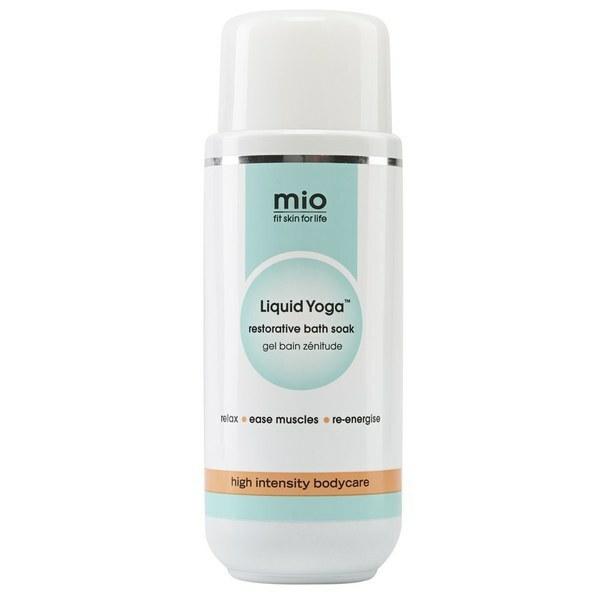 The company originally began 8 years ago with Mama Mio, a pregnancy skincare range full of clean and safe skincare products to hydrate, nourish and calm skin - all containing safe ingredients. Then the Mio range was born. Mio, meaning 'for me' (which I love!) is designed to give you fit and healthy skin that can cope with the everyday stresses, strains and joys of life. It's aim is to keep your skin strong and healthy with that 'glow' that leaves you oozing positivity. My favourite thing about these products is their 'no nasties' mantra. Not only that, they don't test on animals. Something that makes me love Mio even more! They praise themselves on Mama Mio and Mio being the cleanest and most effective products out there with no parabens, petrolatum, mineral oil, synthetic fragrances, artificial colourants, sodum laureth or laurl sulphate, xenoestrogens, phthalates, PEGs or glycols. So it's no wonder they receive such glowing reviews. As somebody that's always on the hunt for natural, effective skincare...my first 'test' is to smell the products. NOTHING is worse than a terrible smelly skincare product that lingers all day. It's safe to say all of these products below smell incredible. The Activist - The smell of this is beautiful and it slides onto the skin, almost like it works instantly. It doesn't leave your skin feeling greasy, as with most body oils and I do feel that after a few usages it's made a difference to my skin. It's true what they say - it definitely leaves your skin feeling moisturised and strong. This is definitely my favourite product of the bunch. Double Buff - So far I've only had the chance to use this product once but similarly to The Activist, you can see results. I'm useless when it comes to body exfoliation - I know you're 'meant' to do it regularly but it feels like SUCH a chore. But I've come to realise, when you're met with a great body exfoliator, it doesn't feel like such a hardship to do it once a week. After one use my skin felt much smoother and brighter. Again, the smell of this product is lovely. Future Proof - Over the years I've tried many a body butter. Typically as a teen I was obsessed with Soap and Glory but after a couple of years of use, my skin began to react to the strong fragrance and I can't use it anymore. So, I stuck with 'safe' body butters or creams that had little to no fragrance but I knew wouldn't leave my skin looking a mess. But now, I've discovered Future Proof and I'm not sure I'll turn back to a boring smelling body butter. The moisture this provides your skin is crazy. I honestly looked like I had totally new skin after a few uses. And, especially at this time of year, my skin never looks its best. The cold air and change of season dries my skin out leaving it dull. After a few uses of Future Proof, again as with the other products, there was a noticeable difference. Next up is the Liquid Yoga Soak. Being somebody that practices yoga anyway, I was instantly intrigued when this product arrived. I've always stuck to natural bath products such as Lush or even Johnson's baby bath soaks. Relax - Ease Muscles - Re-Energise - exactly what I need. I'm a busy person, I work hard and most days my body aches, I'm absolutely shattered and I definitely don't give myself enough time to relax. Thankfully this product eases those aches, makes me relax and leaves me exiting the bath feeling completely refreshed. This bath soak contains some beautiful ingredients, all smelling fantastic (I'm not being OTT - all of these products smell incredible). After having a quick browse at the benefits on the ingredients, I begun thinking, why would I resort back to using my original products? V-Tonic TM An incredible blend of essential oils and extracts, including Mentha Arvensis Leaf Oil, Citrus Lemon Peel Oil, Cypress Leaf Oil and Lavender, to help ease and relax muscles, helps you de-stress and unwind. Andiroba Oil (Carapa Guianesis) Naturally deep penetrating moisturiser especially good for helping ease muscular aches and pains. My skin felt soft and even looked calmer - which I honestly didn't think was possible just from a bath soak. One thing I will mention - make sure you shake it around a bit before pouring it in with the running water. I forgot the first time and didn't get as much of the Epsom salts in as I'd have liked. So there you have it four new products in my life and a crazy-positive review of them. I know it's easy to read these kind of reviews when a blogger has received products to try and think 'well, they aren't going to knock them if they're free?' and I get that but as somebody that does suffer with skin problems, I wouldn't even risk giving misguided information on products. Skin reactions and issues are not a joke and that's why I'm incredibly grateful to the Mio team for creating such fantastic products and for being introduced to them. With Christmas around the corner, I'd seriously recommend popping this on your Christmas list or investing in some Mio skincare for your loved ones. I've already put their whole Cellulite and Firming range on mine. Oh the troubles of reaching your mid twenties!